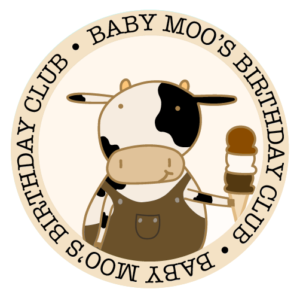 We love our little ones, so we decided to create Baby Moo’s Birthday Club! Every child under the age of 7 can come down on their big day and have a free Baby Moo soft serve cone or cup on us! December birthday? No problem! Kids with off-season birthdays can come down any day during the last week of our season and have a free Baby Moo! Don’t worry about forgetting – we will definitely post reminders as closing week approaches!